Nancy Jean Carr passed away on Saturday, September 1, 2018. A lifetime resident of Spring City, she was the daughter of the late Hubert Lee “Roy” and Jean Hinch. 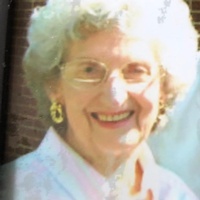 Nancy was a graduate of Spring City High School, and served on the reunion planning committee for many years. She was retired from Farm Bureau Insurance in Dayton, and worked for several years at Hassler’s Drugs after her retirement. She was a member of the Spring City United Methodist Church. Nancy is preceded in death by her husband, Don “Slick” Carr and Parents, Roy and Jean Hinch. Survivors include her Son, Don Lee (Angela) Carr of Spring City, Grandchildren, Kendra and Tanner Carr and 3 Great Grandchildren, many friends at Golden Years Retirement Community, and Special Caregivers Mike and Kim Fuson and Staff. Per her wishes, there will be no visitation or service. Memorials may be made in Nancy’s name to Spring City’s Friends of the Parks P.O. Box 463 Spring City, TN 37381.